Blow out with compressed air. Obstruction Blow out with compressed air. 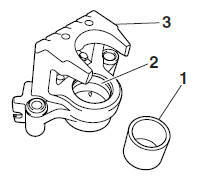 Whenever a brake caliper is disassembled, replace the brake caliper piston dust seals and piston seals. 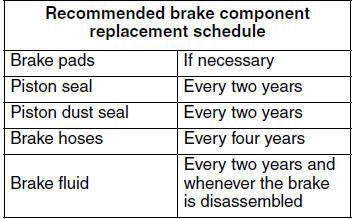 Brake caliper bracket Cracks/damage Replace.